PopMap is an extension for Google Chrome Browser. 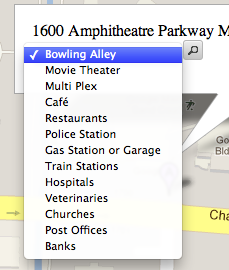 PopMap recognizes the addresses automatically written on the web page when you browse on the Internet. Then put on the map icons near addresses. 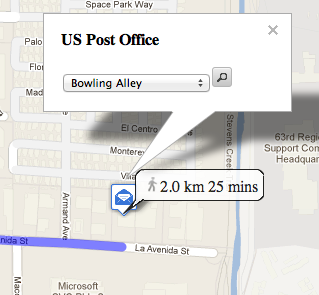 Note that PopMap is able to recognize the U.S., Canada and Japanese postal addresses currently. Click the icon, open the map that recognized location. You can search around the spot. The map tells you the route, and the approximately distance and during time. The map fits to the latter size paper when you print. So why don't you use it? The extension is distributed on Chrome Web Store, and it's free!